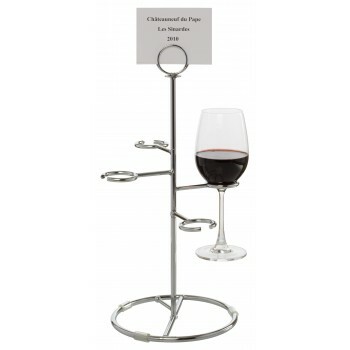 Holds four stemware wine glasses at tiered levels. These heavy duty holders knock down into 3 pieces. 8 mm thick chrome plated steel body. Coiled double rings at the top, 1-3/4” in diameter, can hold a label card. See 8541. 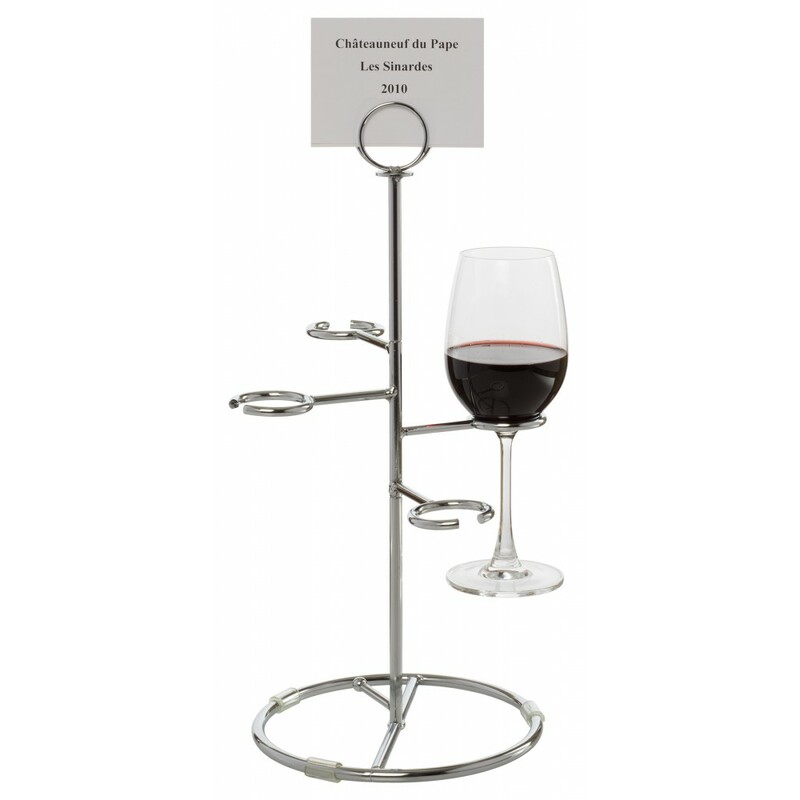 Wine Flight Stemware Tags can also be used with this product. 7” dia. base, 12-1/4” high, 6-1/2” dia. at base. Ships unassembled.